In stock - low quantity. Order in the next 3 hours, 21 minutes and it will go out today! Johny Wong makes BEAUTIFUL coin gaffs. And the Copper/Silver/Brass gimick is a classic of coin magic that has endless possibilities. 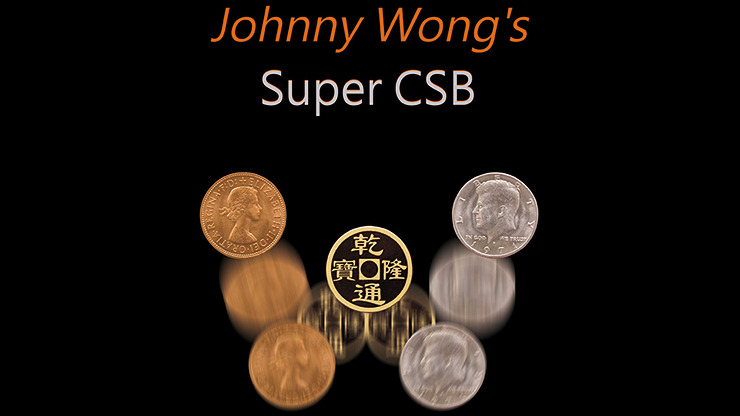 Super CSB is the latest product from Johnny Wong in June 2017. Unlike the old CSB Coin Gimmicks, Super CSB uses a combination of magnets. Any performer will be able to perform numerous, stunning magic routines with the magnetic Super CSB. With limitless imagination and this perfect coin gimmick in your hand, there is no magic routine that you can't accomplish.